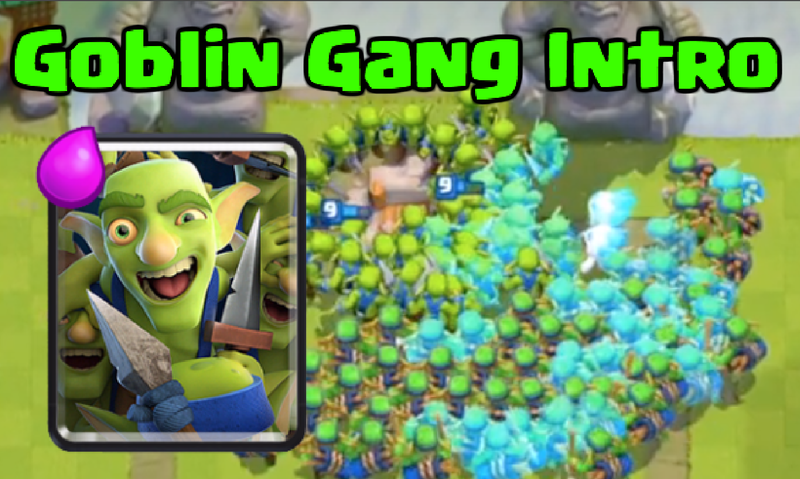 Goblin gang comes into Clash Royale tonight so lets go into some tips and strategy surrounding the goblin gang. This card looks super neat to play and I can’t wait to play the goblin gang within Clash Royale! The goblin gang will be the newest common card in Clash Royale and the last card added from the December 2016 update within Clash Royale. Here are some basic statistics surrounding the gang. Now the level the goblin gang is, is the level of goblins and spear goblins. So a level 9, tournament standard goblin gang will spawn 3 goblins along with 3 spear goblins. 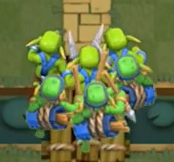 The goblin gang is the 4th “army” card within Clash Royale, but honestly, it seems a bit weak compared to the other ones. We are going to walk through some GG strategy, as well as compare it to the skeleton army which is the closest card in the game to the gang. Every bolded statement is something important about the goblin gang! Skeleton Army Deals Double Damage vs GG: The number one alternative to the goblin gang is definitely the skeleton army. 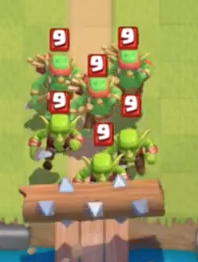 It is worth noting that skarmy will deal double the damage than the goblin gang, however it takes time for the skeleton army to start killing opposing units due to the sheer number of skeletons. 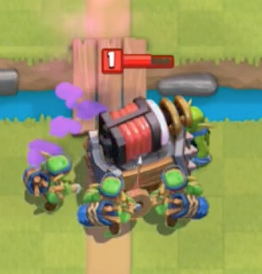 Goblin Gang is Log Bait but not Zap Bait: So since there are goblins in the gang, the goblin gang can’t be zapped down. Even with a zap, the stab goblins will still survive and defend. However, a log will completely shut down the entire GG. Great for Killing Sparky, Elite Barbarians, and P.E.K.K.A. : Since the goblin gang features 6 different goblins, it is really hard for single shot units like the elite barbarians and P.E.K.K.A. to take them all out. Also, by surrounding sparky with the gang, sparky can’t focus on all the goblins and can be taken out. Here’s a great video by Orange Juice outlining the goblin gang as well as providing all troop interactions with the gang…. Enjoy! So that is going to do it for the goblin gang introduction article! Personally, I think that this card looks really cool, but might have a hard time filling a spot within Clash Royale. Anyways, thanks for reading and tell me what you guys think about the new gang in the comments below! That last statement you said about it’ll have a hard time to get into a lot of decks, I don’t think so, if I got it to level 9, I would be GRATEFUL I have it cuz all people who have and like Miner, this is like THE CARD to have in a deck. Also, I don’t believe you stated the strength that it can shoot air and also all by itself takes down half a tower. It’s actually unlocked in Arena 9. You should change that. Oops, my bad! Good catch! Did you already change that, I didn’t see it. Pingback: Goblin Gang Introduction, Strategy, and Tips | Clash of Clans Guide, Strategies, Tricks and More!